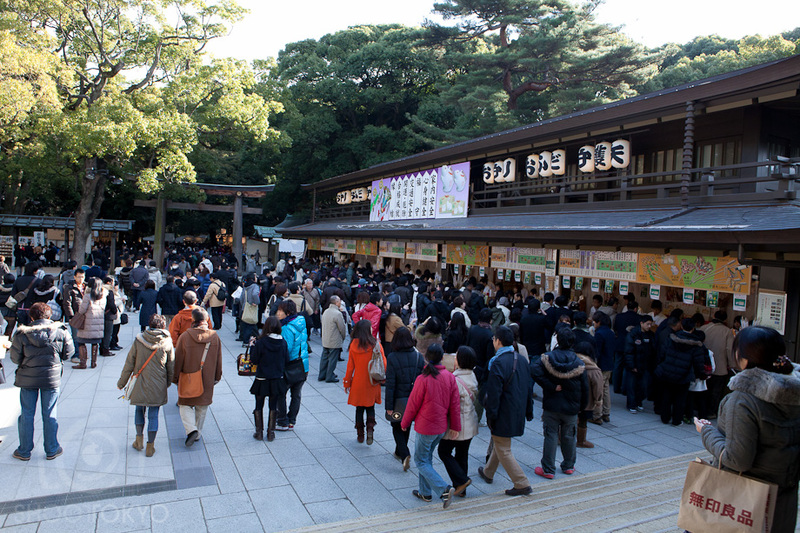 The shrines in Tokyo, and across Japan, are packed with visitors from New Year's Eve until the January 3rd. 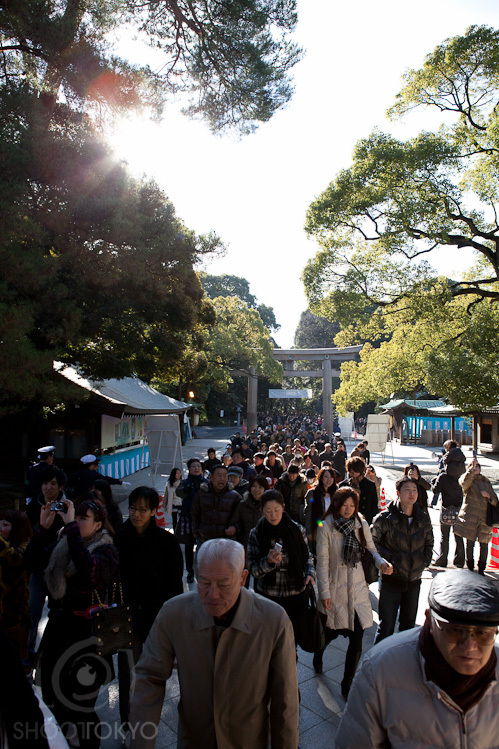 People go to the shrine to pray for safety, happiness and long lives for their family. Many people are buying good luck 'omanori' to protect their families from illness, disasters and accidents. 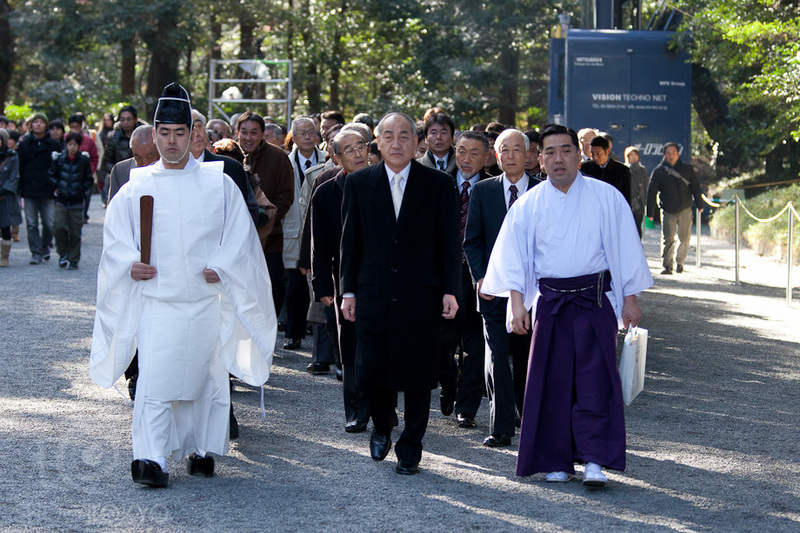 I choose to visit Meiji Jingu Shrine this year to see all of the activity. Meji Shrine located in Shibuya (between Harajuku and Yoyogi Park) is dedicated to the spirits of Emperor Meji and his wife Empress Shoken. Construction on the initial shrine began in 1915 and finished in 1926. This original shrine was destroyed during the Tokyo Air Raids of World War II and through public fund raising it was rebuilt again in 1958. Cleanliness is vital in the Shinto religion. As you approach most shrines you will see a water basin called a 'chozubachi' which has a wooden spoon that you can use to scoop water to pour over both of your hands. Once you have done this then people pour into a cupped hand so they can rise our their mouths and then spit the water back out into the palm of their hands. Make sure to bring your own towel to dry off...as they aren't provided. 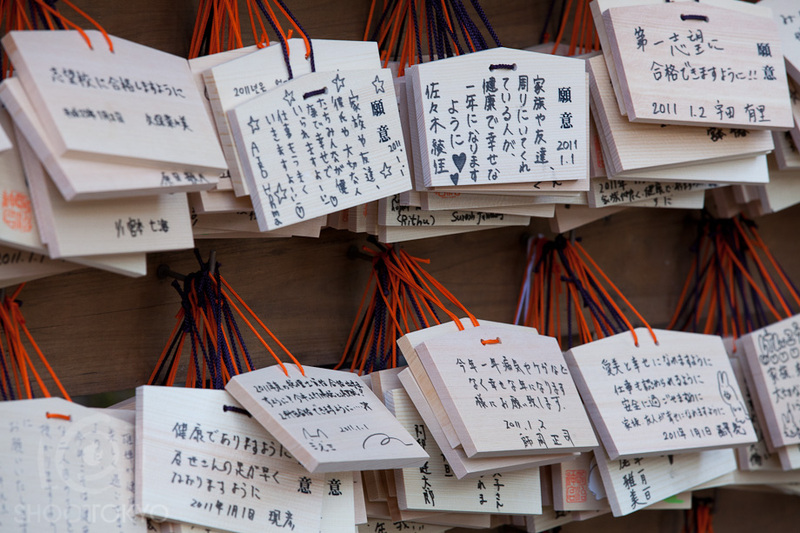 A tradition at the shrines is writing out your wishes on small wooden plaques called 'ema'. Ema bear various pictures of animals and other Shinto imagery and people write out wishes such as success, a healthy family, a happy marriage or to have children and then leave them hanging on the shrine grounds where the spirits or gods can receive them. Another tradition at the shrine is 'omikuji', which are random fortunes on strips of paper. Omikuji can be literally translated as 'sacred lottery' as you can get fourtunes ranging from great blessing to small blessing to half curse to great curse. Omikuji predicts a person's chances of his or her hopes coming true in areas such as health, fortune, love and life. 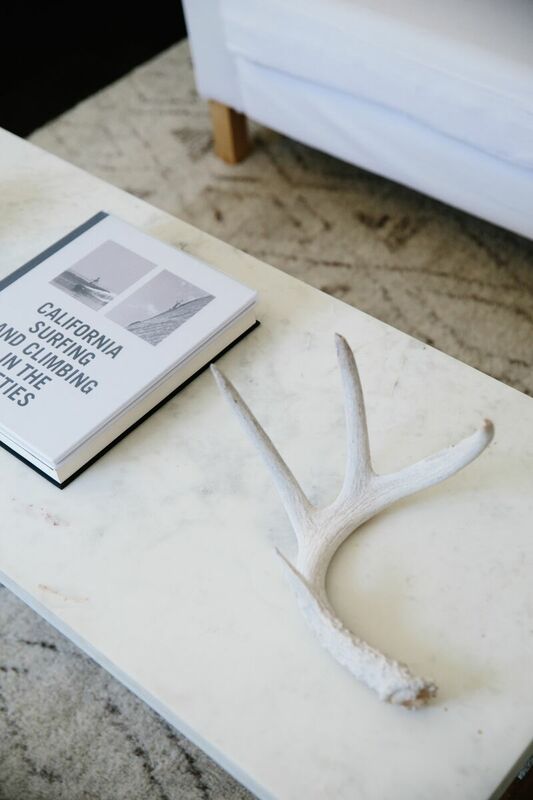 When the prediction is bad, it is a custom to fold up the paper and tie it to a wall of strings, wires or a pine tree alongside other bad fortunes on the temple grounds. The idea is a pun off of the pronunciation of the kanji for 'pine tree' and the verb 'wait' which are both pronounced the same way 'matsu', the idea being the bad fortune will wait rather than follow the bearer of it. If the fortune is good you can either keep it or tie it up for even greater fortune.